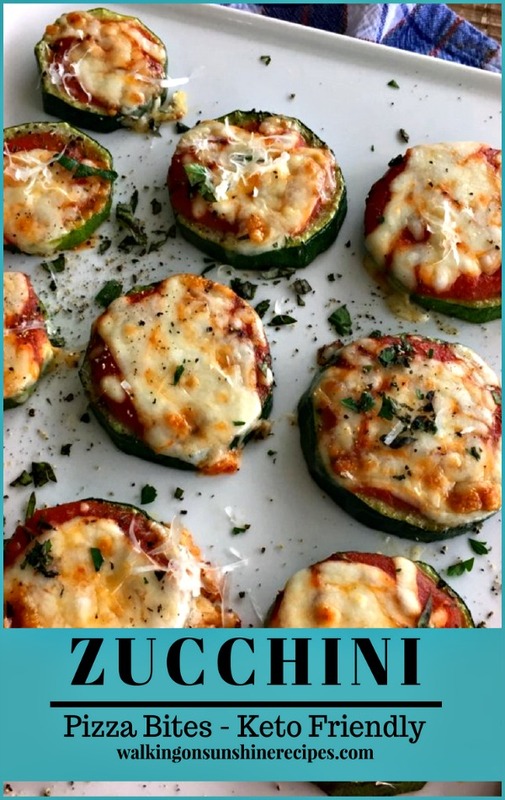 Zucchini Pizza Bites are a yummy way to use up all the zucchini growing in your garden or in your neighbor’s garden! 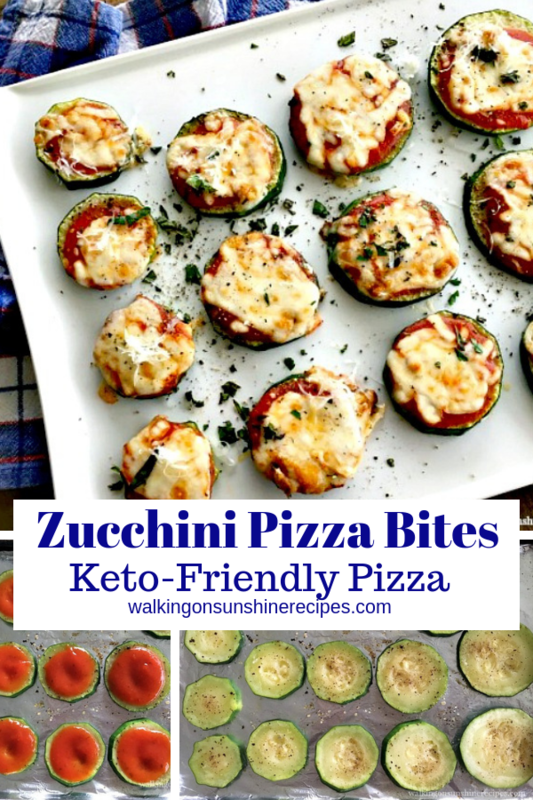 They’re also the perfect Keto-friendly recipe to satisfy your craving for pizza when you’re follow a low carb diet plan. 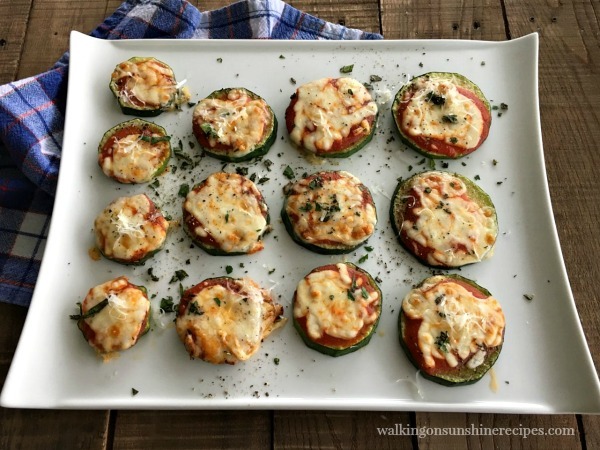 I made these Zucchini Pizza Bites last week as a low-carb side dish and let me tell you, they were AMAZING. 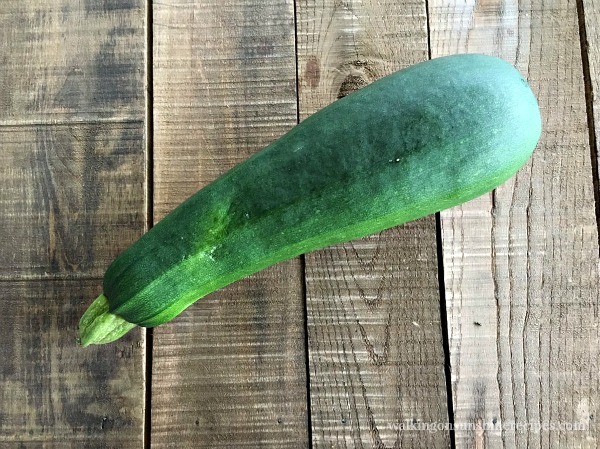 We accidentally planted two extra zucchini plants this summer. We started our plants by seed in April and two plants were accidentally labeled “pumpkins” only they turned out to be zucchini plants. With that being said, we have had an abundance of zucchini from our garden and I needed to find a new way to enjoy this summer vegetable. Zucchini Pizza Bites is a perfect way to use up all the zucchini that maybe got a little too big in your garden while satisfying your need for pizza without all the calories or carbs. 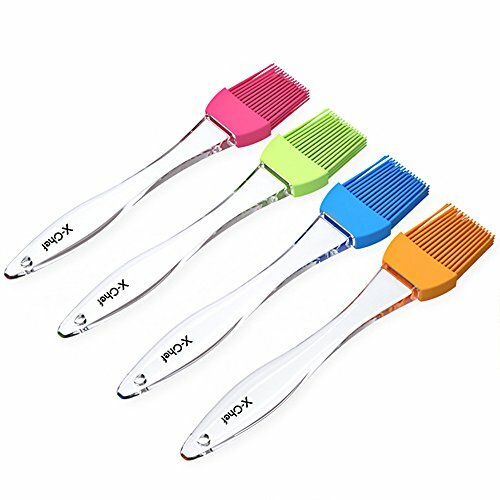 They’re great for lunch too or as a side dish to grilled chicken. 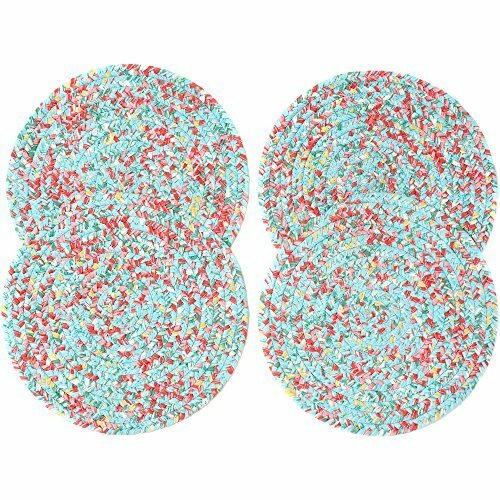 They really are the perfect way to satisfy your cravings for pizza while following a Keto, low carb diet plan. Homemade Queso Cheese Dip – no fake cheese! Yes, I did go searching for the perfect zucchini for this photo. Slice the zucchini into 1/4 inch rounds. Brush each zucchini round with a little olive oil. 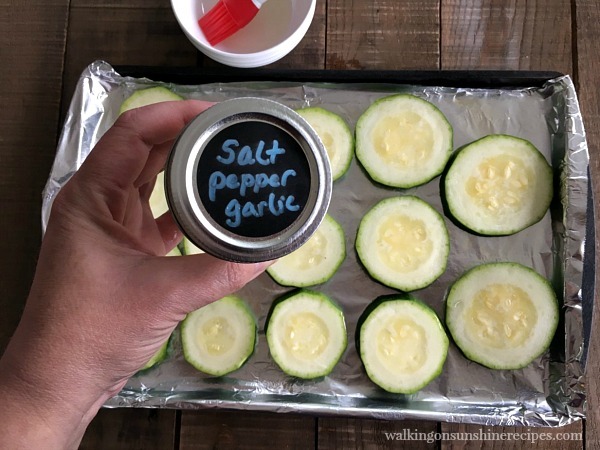 I love to sprinkle them with my Salt, Pepper and Garlic House Seasoning. 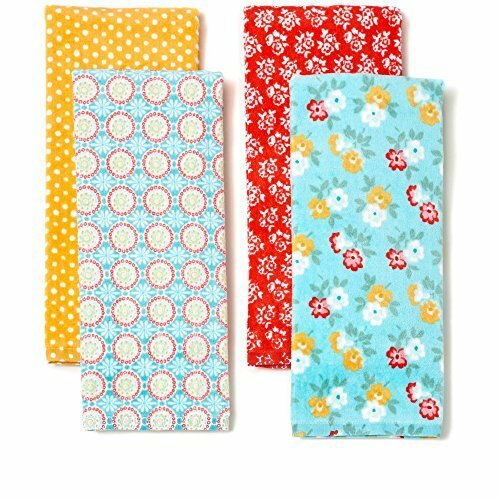 You can also use your favorite pizza seasonings like oregano or hot pepper flakes. Remember you’re trying to satisfy your cravings for pizza, so make the zucchini taste as close to your favorite pizza as possible. Bake them in the oven for a few minutes and then flip them and brush with a little more olive oil and another sprinkle of salt and pepper. 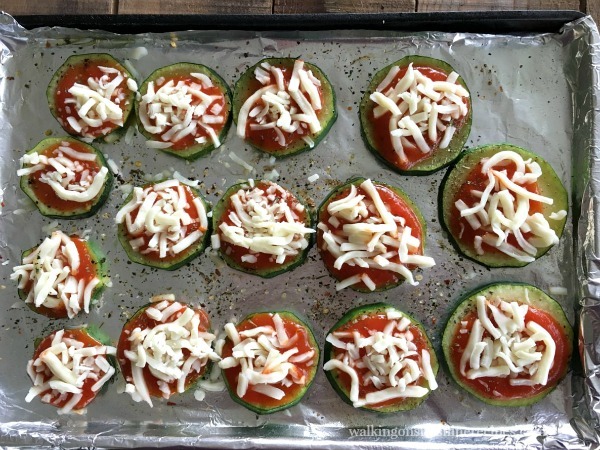 Add a little marinara sauce to the tops of each zucchini round. Place under the broiler this time until the cheese is melted and bubbly. 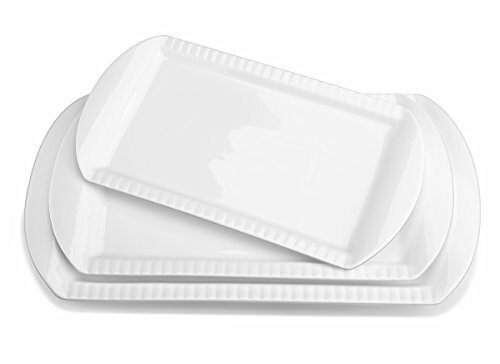 Transfer to a serving platter and sprinkle fresh chopped parsley for a garnish. 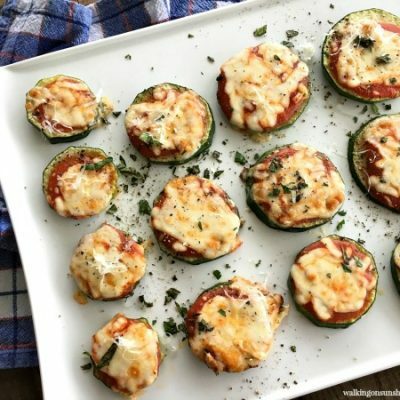 The next time you're craving pizza, why not try these easy and delicious Zucchini Pizza Bites. 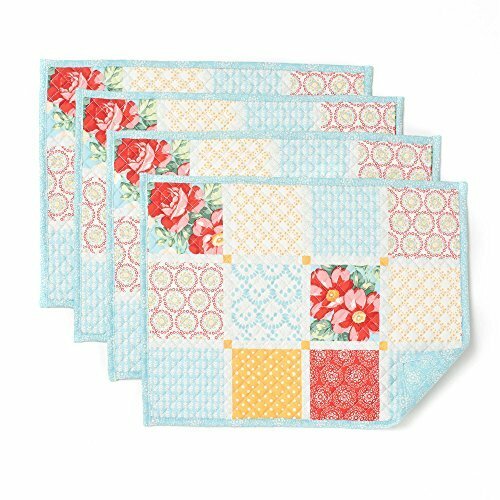 They're a great way to enjoy pizza without all the carbs or guilt! 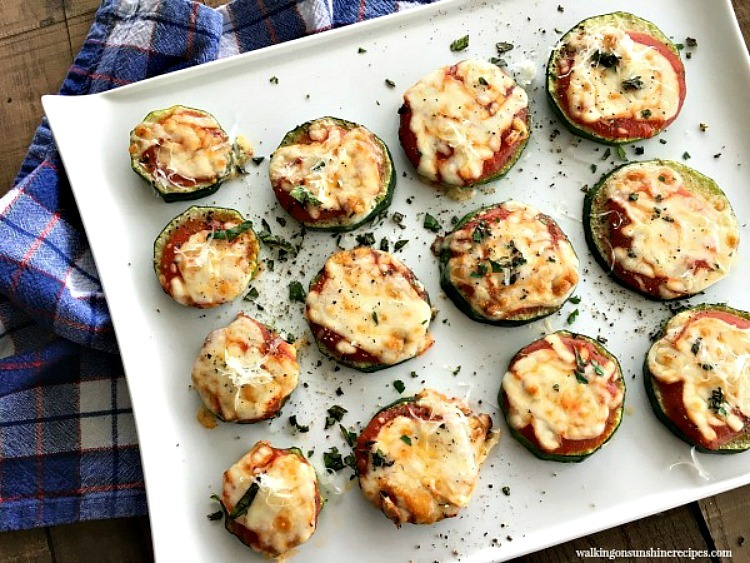 A low carb way to enjoy zucchini and pizza. 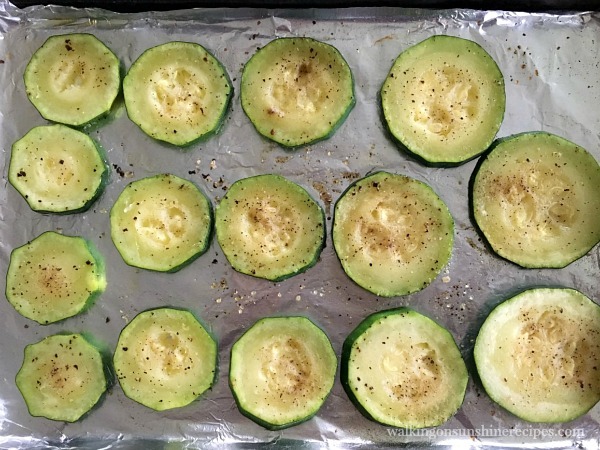 Slice the zucchini into 1/4" rounds and place on a baking tray that has been lined with either parchment paper or aluminum foil. If you use aluminum foil, make sure you spray it with non-stick cooking spray. Brush the top side of each zucchini with olive oil and season with salt and pepper. 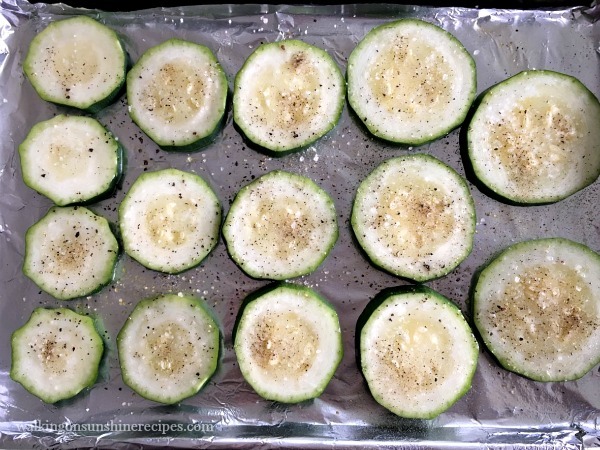 Bake for 2 minutes and then flip each zucchini slice and brush with a little more olive oil, season with salt and pepper. Return to the oven for 1 to 2 more minutes. 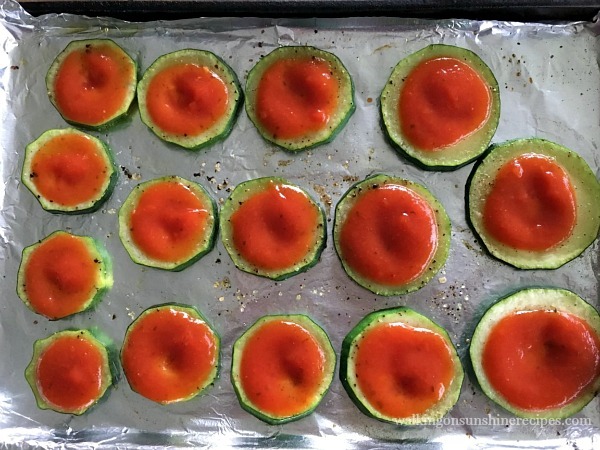 Add a spoonful of marinara sauce to the top of each zucchini slice. 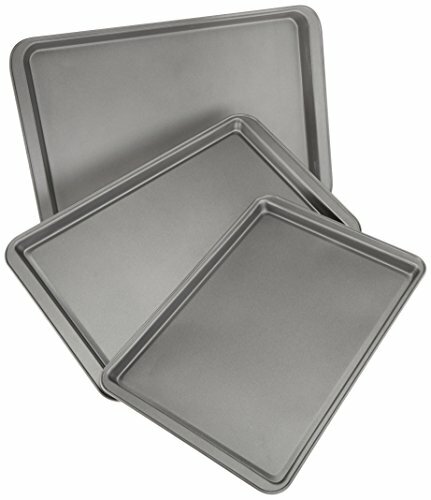 Turn the oven up to broil and place the baking tray under the boiler for 1 to 2 minutes or until the cheese is hot and bubbly. We do the same kind of thing with eggplant instead of zucchini! We also like to top our eggplant pizzas with something like onion and pepper, to add in even more veggies! The zucchini intrigues me though, I bet it’s just a bit crunchier than eggplant which sounds great! 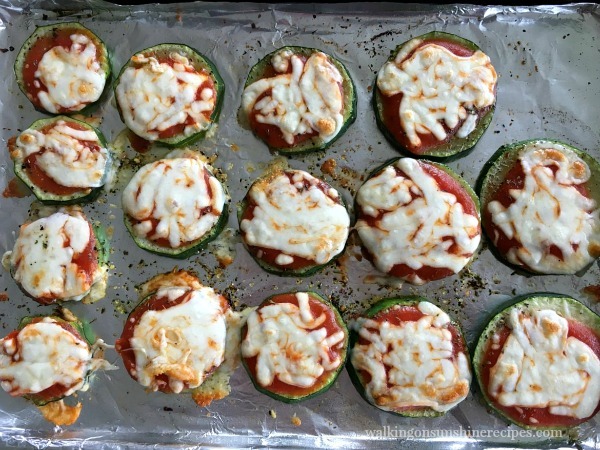 I’ve never tried eggplant pizzas! That sounds really yummy too. Thanks for visiting today Heather. 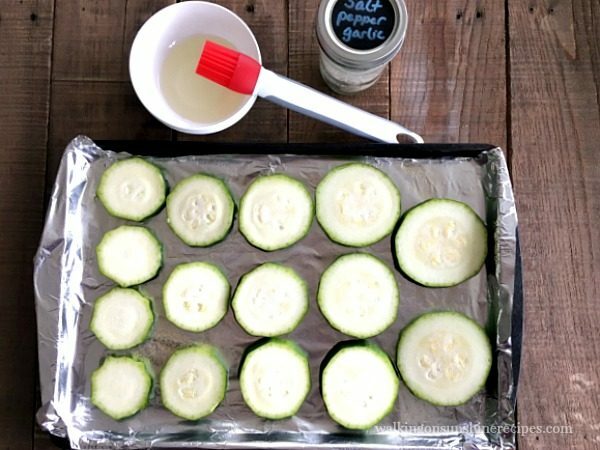 It’s never too soon to start collecting zucchini recipes! 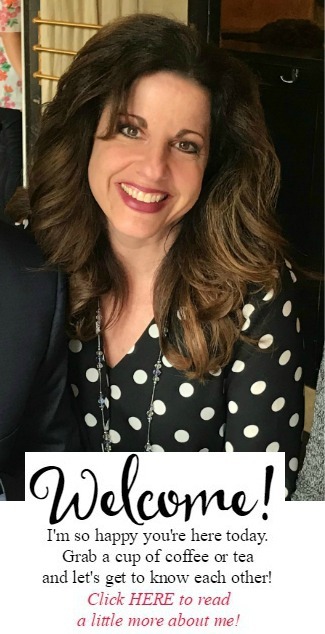 Thank you for visiting and for your fun party! 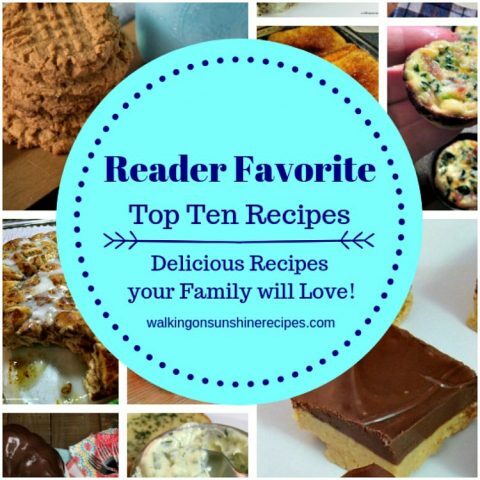 Looks great I am adding it to my low carb recipes! Pinned and sharing! Thank you for sharing on Merry Monday! Hope to see ya next week! Thank you! Your party is one of my favorites!